We first met Vivian when we literally bumped into each other ice skating at Hull Arena around 12 years ago. It was brilliant to catch up when we were all playing at Cornucopia Festival last year. 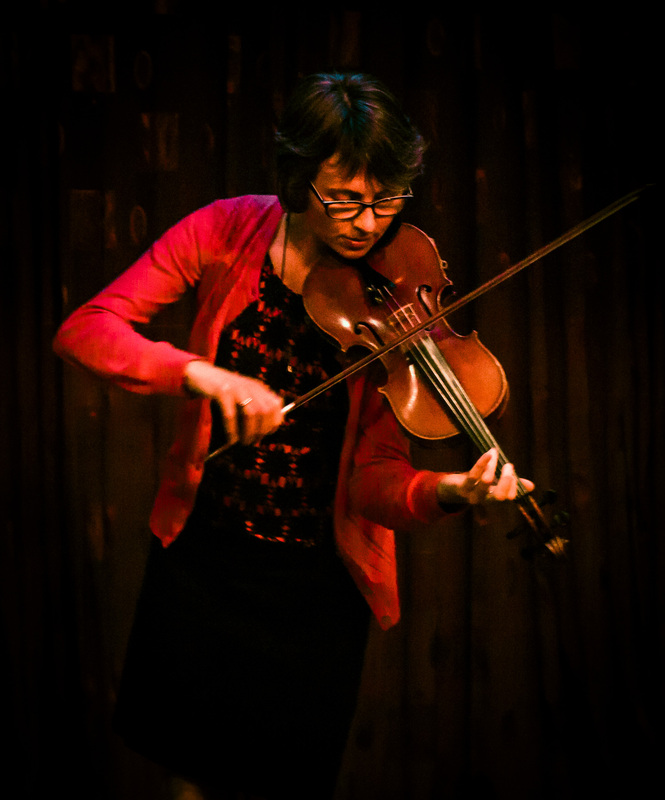 Since then Vivian has regularly captivated the Loudhailer Acoustic audience with evocative original and world influenced Klezmer and Balkan gypsy solo violin tunes, telling stories with the beautiful voice of her violin. Thank you for inviting me to take part in HullSongs. My connection with Hull dates back to when I used to catch the ferry from here as a child! As a violinist, I am passionate about World Music. My repertoire includes North African, South American and, especially, East European Gypsy and Balkan music. Solo, or with others, I love to express myself through my violin, and to be absorbed by the magic of composing new material. I currently perform at local venues and offer violin tuition. This piece consists of two tunes, linked together. Though they were written seven years apart, I think they connect harmoniously. Isolation is my first ever composition. It was written in Eritrea, where I felt linguistically and musically isolated at times. That was my inspiration… So what’s the link with Hull? Well, I left my home in Hull to live a very basic life in rural Eritrea, doing long-term voluntary work. Perhaps I didn’t expect to return here, but I did! I think this composition is appropriate for HullSongs, as there is a growing number of Eritrean refugees in Hull, who must experience the reverse isolation of what I felt there. They make ‘em tough in Hull! Enter your email address to follow HullSongs and get notifications of new posts by email.